In one of the best pieces on the subject in recent years, the New York Times magazine released what can best be described as an interactive feast regarding the delicate subject of the South China Sea. Beneath all the interactive maps, previously unreleased photos and eye-catching video were some interesting aspects of China’s strategy regarding this disputed area that is sure to be of interest to Asia hands. The article itself is certainly worth your time just for the sheer artistic quality in which this important issue is covered. Sticking to the business at hand, there was one specific section that caught my eye. The piece notes comments from PLA General Zhang Zhaozhong regarding what is being called China’s “cabbage strategy.” The Times describes it as “surrounding a contested area with so many boats — fishermen, fishing administration ships, marine surveillance ships, navy warships” that the disputed island is essentially wrapped like layers of cabbage. A friend of mine has another name for this strategy: small-stick diplomacy. While General Zhang is not one to shy away from controversial statements, the actual idea is nothing new and has made the pages of many other publications. Yet, looking at Chinese actions over the last two years or so, one has to wonder whether such a cabbage strategy has moved into a more active phase beyond the South China Sea and into even more deadly waters. The interesting and natural question to me is would China press its claims in an even more rigorous manner? For example, could we see Beijing surround the Senkakus in a cabbage like way in the near future. To be blunt, I doubt it. Obviously, Japan is not the Philippines, the subject of the New York Times magazine article. Tokyo has many ways it could respond to such an action, including the backing of a powerful ally that has many assets on its shores that could prove most helpful if tough words needed to be matched by even stronger actions (AKA the United States). Beijing also may have already reached the limits of what Tokyo is willing to stomach over such aggressive actions in the East China Sea. In an interview that appeared on the pages of the Wall Street Journal, Japanese Prime Minister Shinzo Abe seemed to suggest that his country is ready to take a more assertive security role in Asia, especially when it comes to Chinese actions that have stirred tensions in recent years. “There are concerns that China is attempting to change the status quo by force, rather than by rule of law. But if China opts to take that path, then it won't be able to emerge peacefully," Abe explained. "So it shouldn't take that path, and many nations expect Japan to strongly express that view. 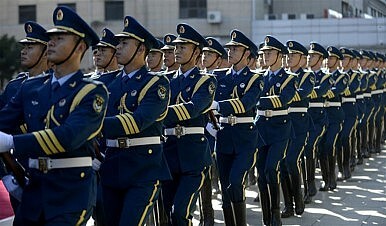 And they hope that as a result, China will take responsible action in the international community." Such comments, combined with news that Japan could shoot down foreign drones that might pass over its territory all seem like veiled threats aimed at China to back off claims that could spark a crisis. For its part, China must carefully assess whether such actions are truly in its own interests. As many scholars have pointed out, anytime a rising power attains a certain level of might, fear of its intentions, even if undeserved, can spark a classic security dilemma. The question for Beijing is quite simple: is a possible fight over such islands worth it? Considering the worst case scenario, I would be hard pressed to see how. In the end, a cabbage strategy might be worth just as much as the name it has been bestowed. Japan will likely deploy 500 troops to Ishigaki island, 90 nautical miles from the disputed Senkaku/Diaoyu Islands.